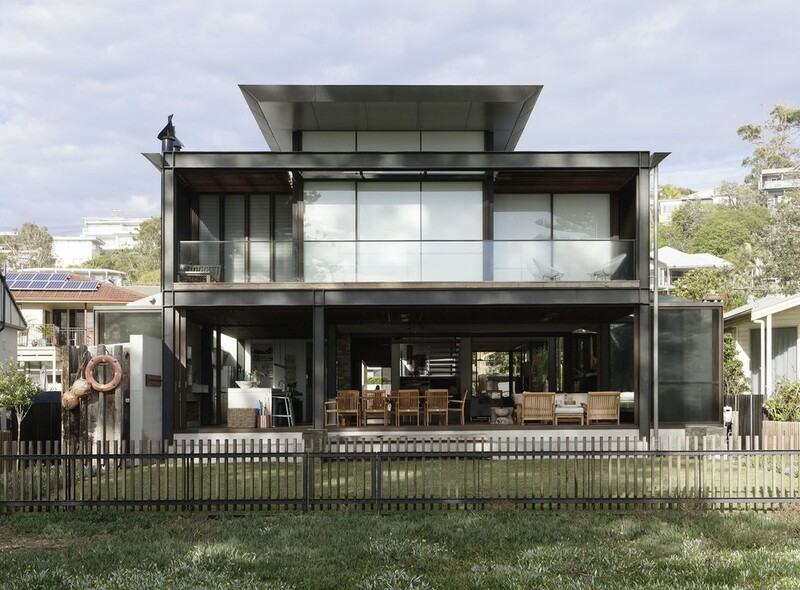 The core idea of people living and engaging with place is an underlying principle of this architecture practice, given expression in the manner in which this home engages with the exterior, not in a general expansive nod to view, but in a varied and intimate manner. 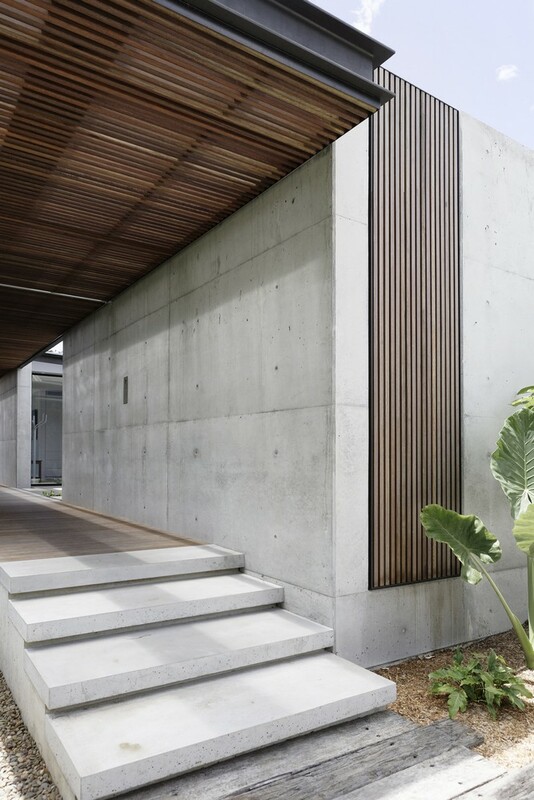 The interpretation of experiencing life at the beach in all its forms has been manifested in tangible spaces and places through the design of pavilions, courtyards and outdoor rooms. A progression of pavilions and courtyards are strung off a circulation spine/breezeway, from street to beach: entry/car court; grassed west courtyard (existing tree); games pavilion; sand+fire courtyard (=sheltered heart); living pavilion; operable verandah; beach. The interiors reinforce architectural design principles and place-making, allowing every space to be utilised to its optimum. 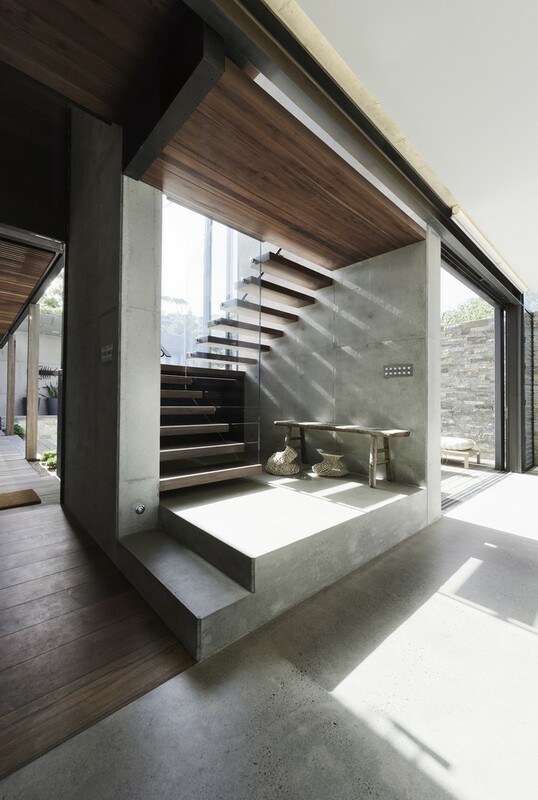 There is no differentiation between architecture and interiors: Interior becomes exterior, joinery becomes space modulator, materials become textural art brought to life by the sun. 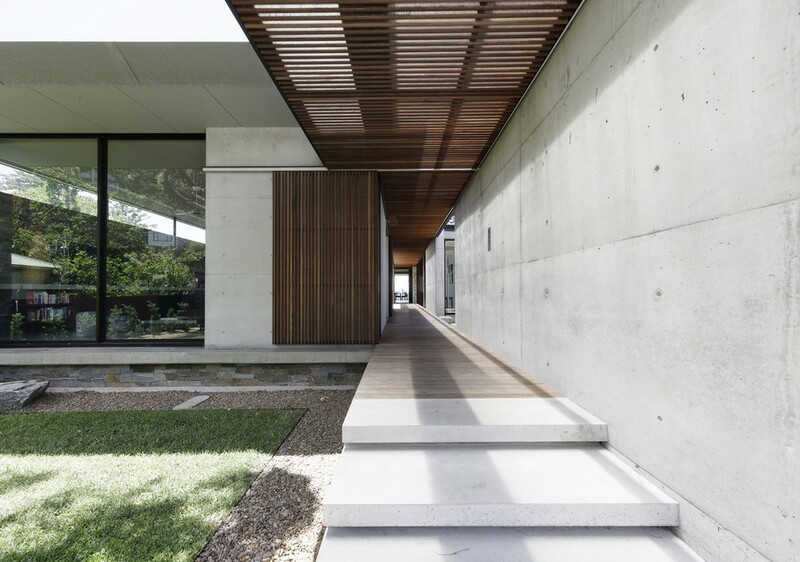 The core idea of people living and engaging with place is an underlying principle of our practice, given expression in the manner in which this home engages with the exterior, not in a general expansive nod to view, but in a varied and intimate manner. 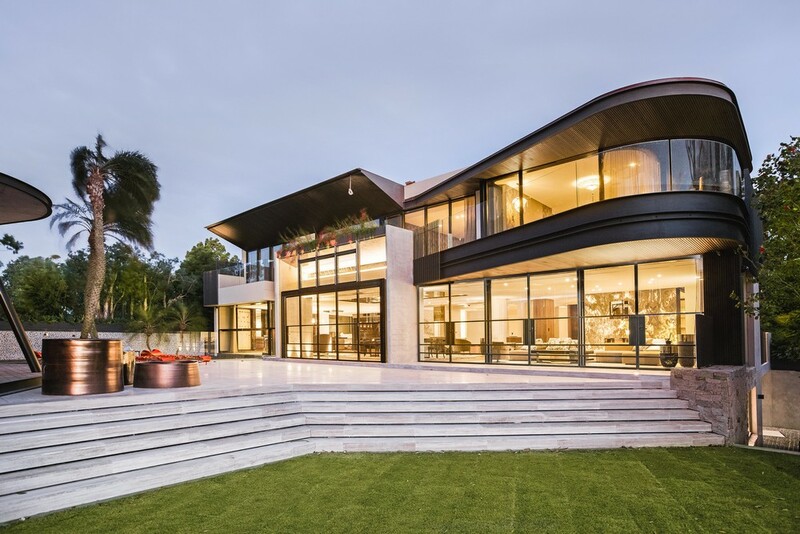 The house is designed to maximise the spectacular Avoca beachfront location with a variety of indoor and outdoor rooms in which to experience different aspects of beachside living. 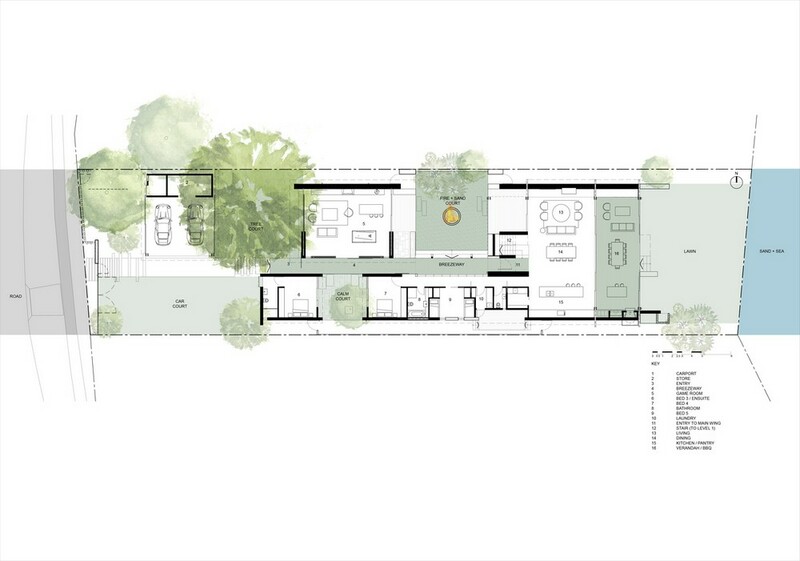 Client brief: home to accommodate a small family yet expandable to accommodate multiple guest configurations, varying levels of privacy, scale and interaction. 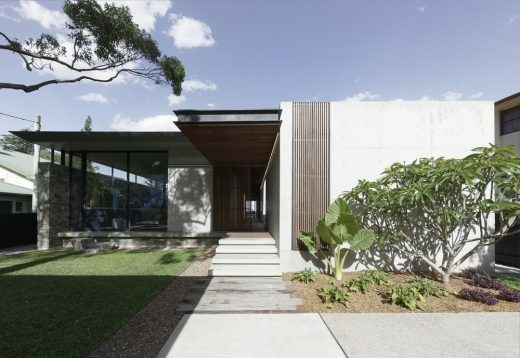 A home which responds to its environment both functionally and aesthetically, with a preference for raw, natural and robust materials. Maximise connection – visual and physical – to the beach. 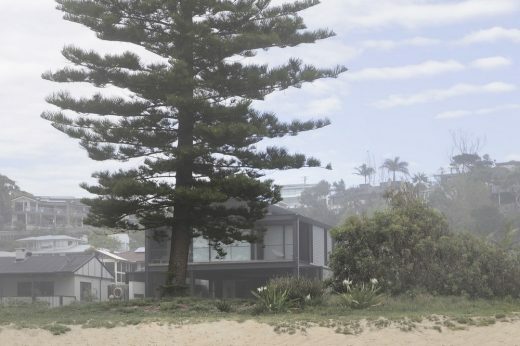 A progression of pavilions and courtyards are strung off circulation spine/breezeway, from street to beach: entry/car court; grassed west courtyard (existing tree); games pavilion; sand+fire courtyard (=sheltered heart); living pavilion; operable verandah; beach. 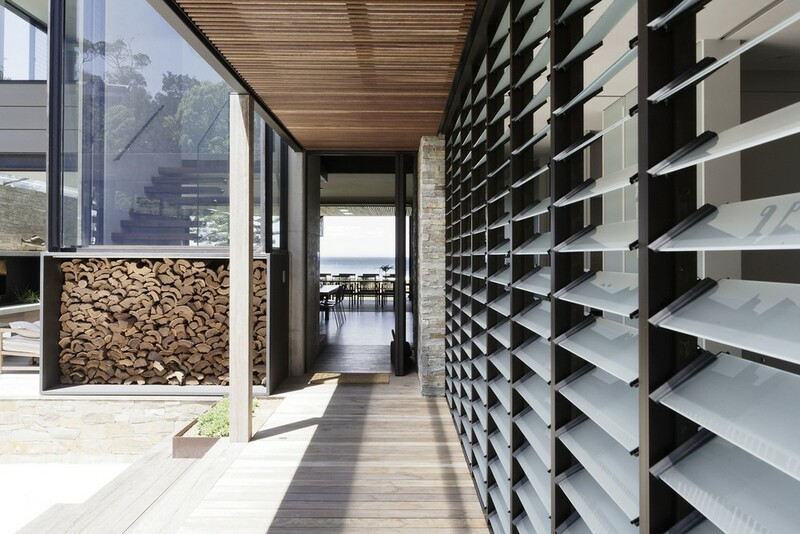 The verandah is the final transition space to the beach: enclosable in winter; completely open in summer. 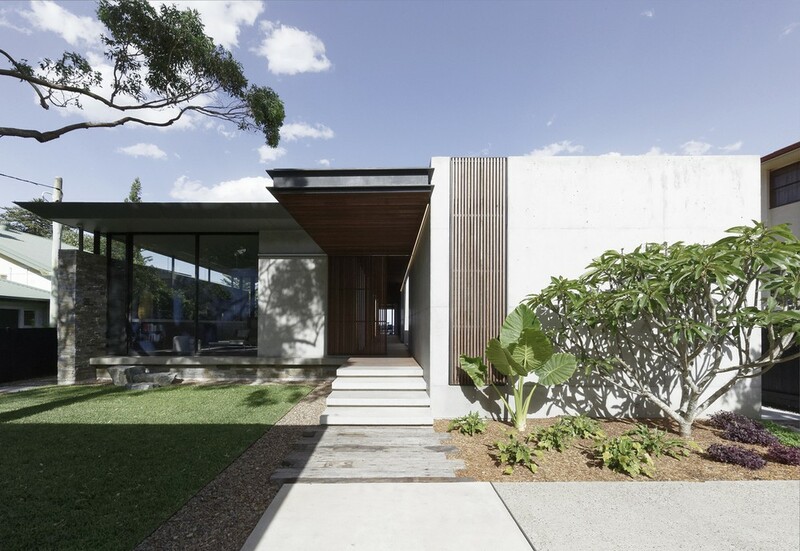 Focus is on the tactile quality of the materials: a consistent palette of concrete, raw recycled grey ironbark, steel and natural stone. Materials selections are raw, robust, low maintenance and recyclable. 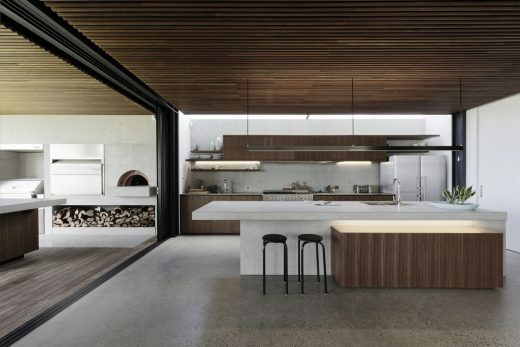 Light, natural and artificial, is used to sculpt the space and accentuate textural qualities of materials. 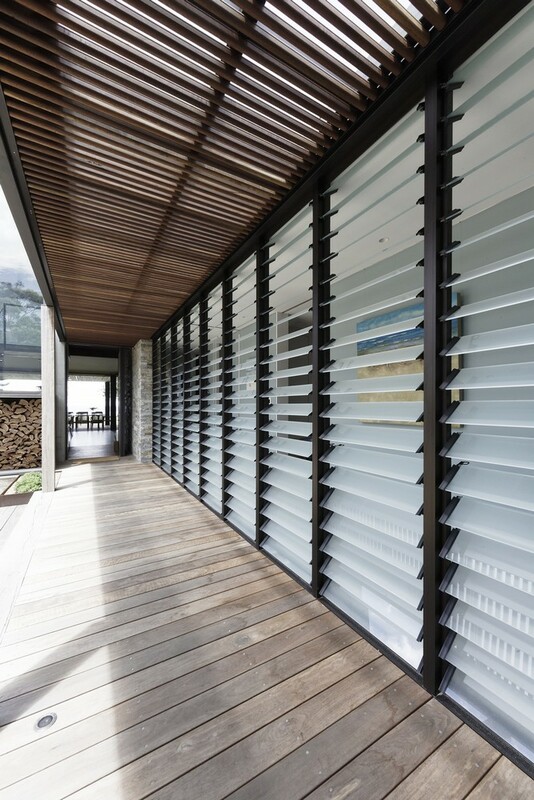 Passive climatic design strategies (orientation, winter solar penetration, screening/shading, thermal mass and cross ventilation) result in stable indoor temperatures, requiring minimal use of heating and cooling. Accommodation is naturally ventilated by eastern sea breezes, but sheltered from harsh afternoon winds. Both bore and rainwater are harvested for reuse. 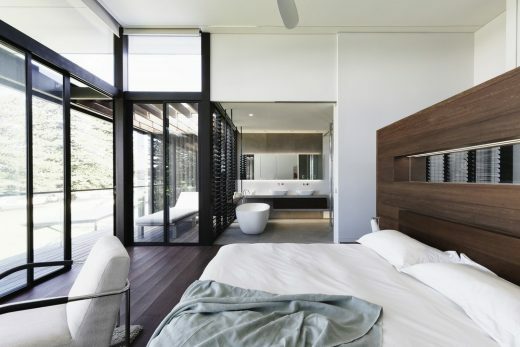 Low VOC and non-toxic materials and finishes, hydronic floor heating and ventilation ensure a healthy indoor environment. 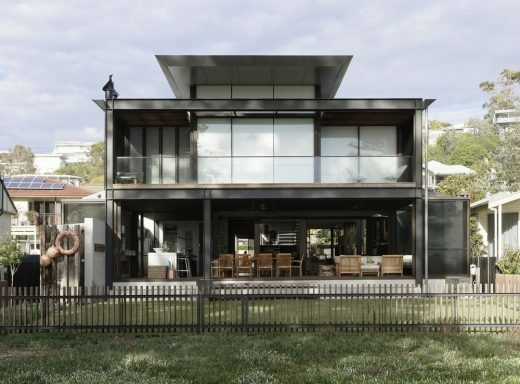 The project was the outcome of extensive collaboration with client, specialist consultants (including coastal erosion) and the builder. The interpretation of experiencing life by the sea in all its forms has been manifested in tangible spaces and places through the design of the pavilions, courtyards and outdoor rooms. The client’s brief: home to accommodate a small family yet expandable to accommodate multiple guest configurations, varying levels of privacy, scale and interaction. A variety of spaces to experience differing aspects of beach life. A home which responds to its environment both functional and aesthetically, with a preference for raw, natural and robust materials. Maximise connection – visual and physical – to beach. 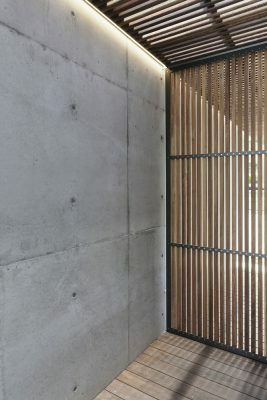 Response was a series of operable spaces relating in succession, maintaining focus/connection to the beach. The public spaces have been designed as series of indoor/outdoor pavilions. 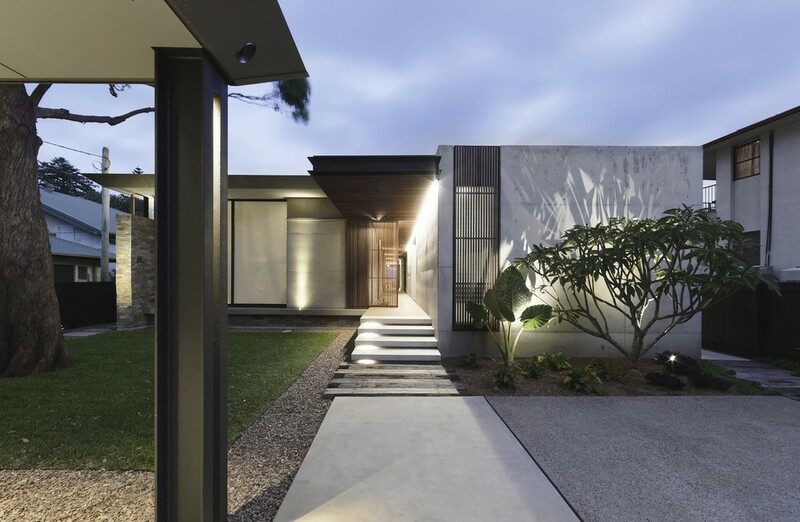 Courtyards treated as outdoor rooms, creating ambiguity and blurring the distinction between inside and out. Accommodation naturally ventilated by eastern sea breezes, but sheltered from harsh afternoon winds. 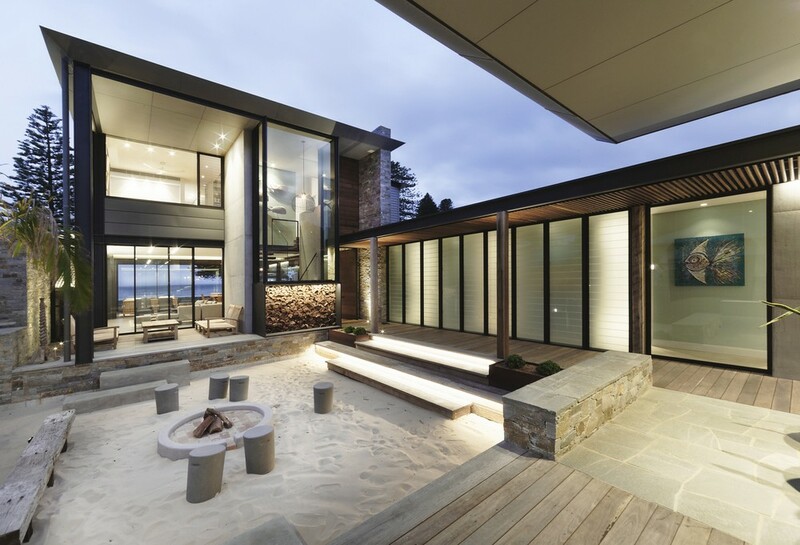 Verandah is final transition space to beach. Enclosable in winter; completely open in summer. Palette of natural, raw materials selected for robust longevity, low maintenance, recyclability. 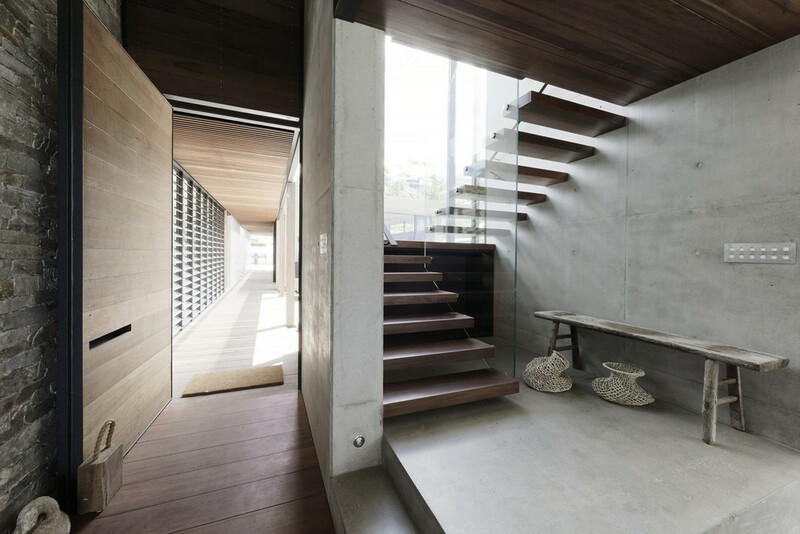 Exposed aggregate concrete floors, raw recycled ironbark, stone. 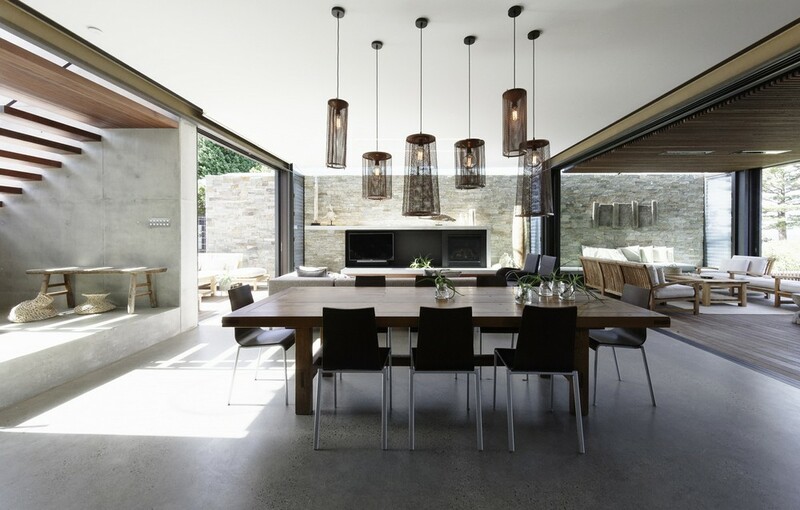 Light, natural and artificial, is used to sculpt the space and accentuate textural qualities of materials. 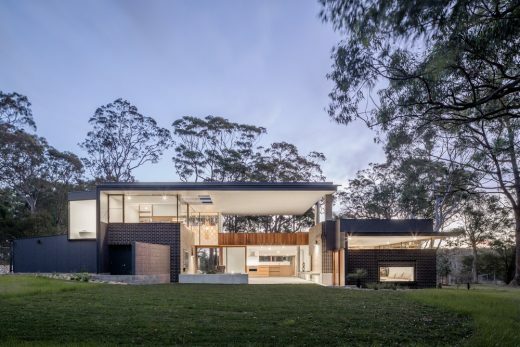 A home to accommodate a small family yet flexible enough to expand to house multiple guests, being mindful of varying levels of privacy and a sense of scale for minimum number of occupants. A wish for a variety of spaces to experience differing aspects of beach life. 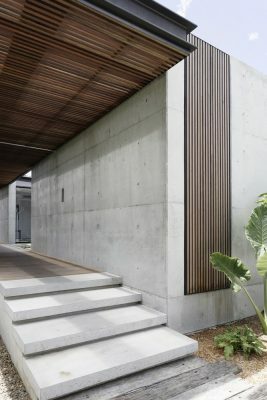 A home which responds to its environment both functional and aesthetically, with a preference for raw, natural and robust materials. Maximum access to beach, both physical and visual. 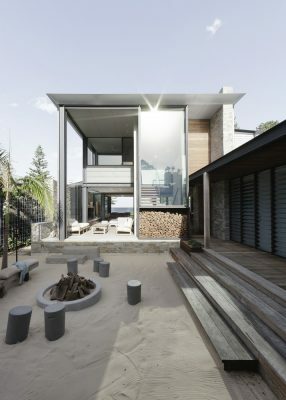 Our response to the brief was a series of operable spaces which relate to one another in succession, maintaining focus/connection to the view of the beach and the sea beyond. The public spaces have been designed as a series of indoor/outdoor pavilions (indoor pavilion walls sliding away to blur the distinction between in and out). Each pavilion houses a different function/place. Courtyards are treated as outdoor rooms, creating ambiguity and blurring the distinction between inside and out. 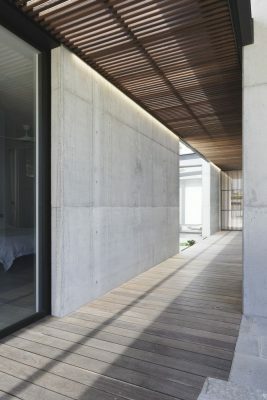 The interpretation of experiencing life by the sea in all its forms has been manifested in tangible spaces and places through the interior design of the Pavilions, courtyards and outdoor rooms. 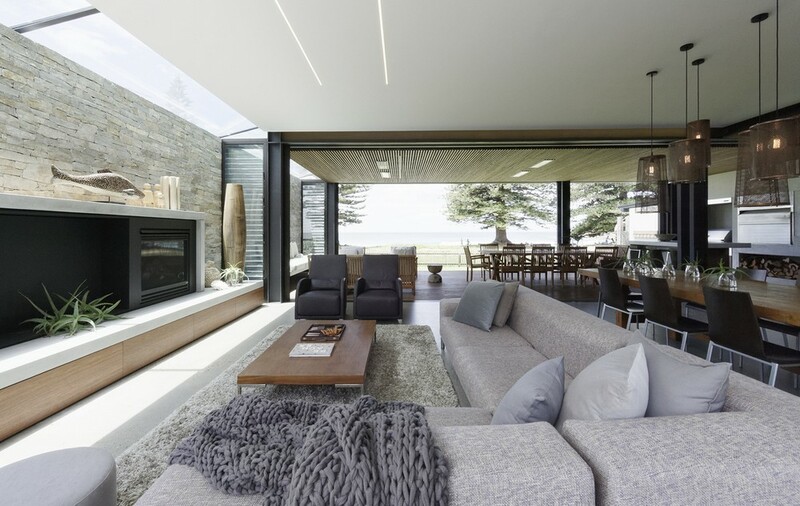 The interior design has been an extension of the architectural intent, reinforcing architectural design principles and place-making, allowing every space to be utilised to its optimum capacity. There is no differentiation between architecture and interiors: Interior becomes exterior, joinery becomes space definer and modulator, materials become textural art brought to life by the sun. This, outward looking space was achieved using the elements of interior design, tools of sculpting light, space, line, forms, colour texture and pattern. This project uses these tools to create a sense of unity of these elements, which aids in serving as a visual aid or language to instinctively understand the living spaces. The carefully wrought asymmetry of the elements within the spaces create balance, whereby an ordered distribution of these elements is successfully achieved. 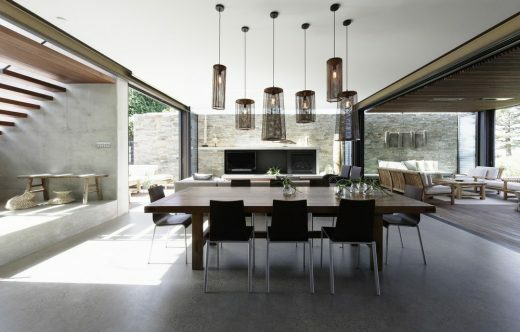 Rhythm and Emphasis have been carefully considered, with the employment of timber batten screening to the ceiling along the central circulation spine connecting the spaces through movement, and the battened pattern ceiling to the kitchen and verandah area, along with the highly textured natural stone wall address the principle of emphasis. The construction and junctions of these materials add the element of detail to the space, as do the proportion and contrast thereof. 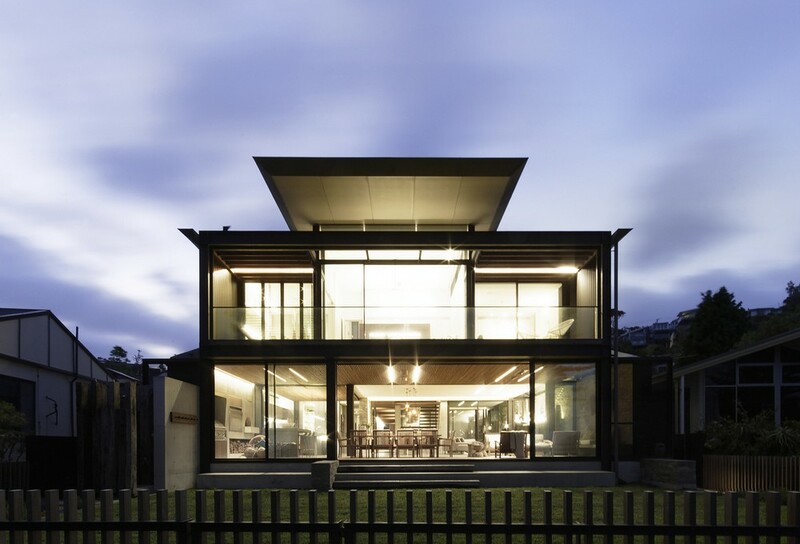 East facing site with sea breezes to afford natural ventilation, needing shelter from harsh afternoon winds. Need to minimise overshadowing to southern property, therefore predominantly single storey with first floor setback. Nature and scale of the site affords the opportunity to create courtyards, breezeways and access to spectacular views.